With the Canon CanoScan 600 Flatbed Scanner, you'll conveniently check family photos, school projects, important documents-even your child's punctuation award. Whatever the task, this versatile scanner makes it simple. Big feature buttons automate the procedure, so it's easy to check originals and e-mail them or develop PDFs. Also, the Advanced Double-Hinge-Lid opens 180 levels allowing clear, total scans of your thickest originals such as note pads. Plus, the supplied stand holds the scanner up and down, saving you desktop space. Ergonomically designed, the CanoScan 600 is the best LiDE scanner, with even more power per square millimeter than nearly any other scanner. Super slim and portable the CanoScan 600 includes a unique 3-way design with a dual-hinged lid to ensure that you can check practically anything. The built-in stand provides for drop-in scanning and permits the scanner to be kept upright to save money on a room. Decreasing desktop clutter, the CanoScan 600 draws all the power that it needs from an only USB link. 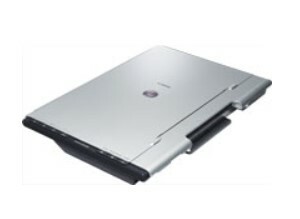 The scanner is very mobile and can be utilized just about anywhere with a notebook computer. Fast scanning and transfer of premium photos are likewise guaranteed with the USB 2.0 Hi-Speed link. With ArcSoft PhotoStudio, OmniPage SE and Presto!PageManager you can modify photo images, convert paper files right into editable data and handle all checked pictures. Canon's ScanGear and CanoScan Toolbox have been upgraded to include much better image top quality and performance. Scanner Type: Color Image Scanner. Scanning Mode: Color: 48-bit internal/48-bit external (selectable in the driver). Max. Film Size: 35mm x 6 frames (Negative/Positive). Dimensions (W x D x H): 11.3(W) x 1.7(H) x 16.1(D). Power Source: Powered through USB port, no AC adapter required. Max. Power Consumption: 3.0W (2.0W standby). Operating Temperature: 41° - 95° F.